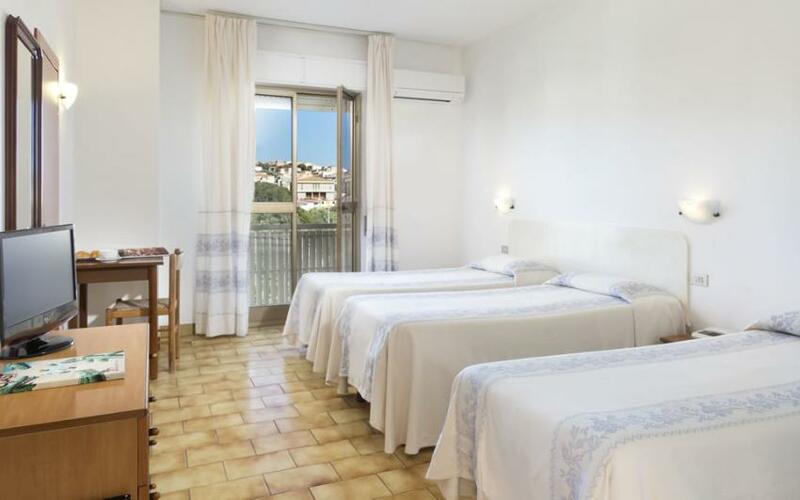 The Single Rooms of the Citti Hotel are functional and furnished in a typical Sardinian style. 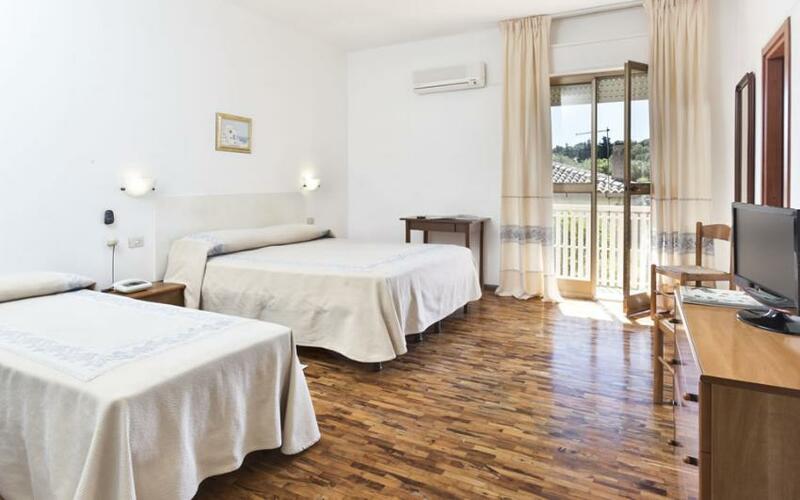 Double Rooms are spacious and feature functional furnishings in a typical Sardinian style. 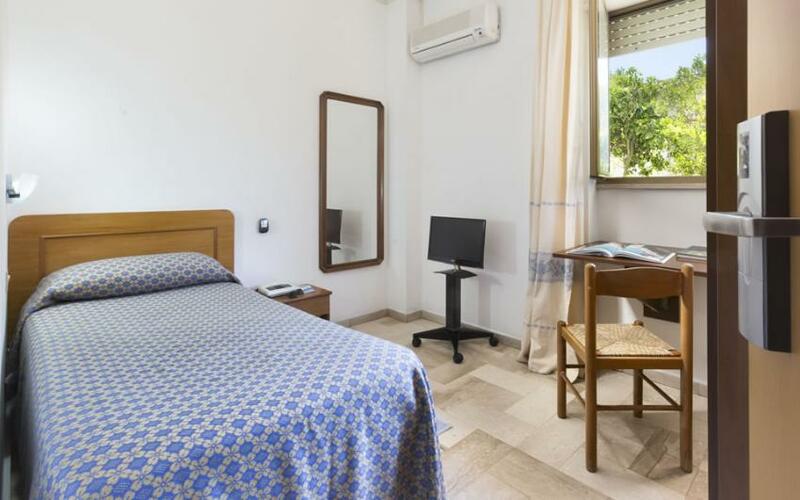 The Triple Rooms of the Citti Hotel are spacious and feature functional furnishings in a typical Sardinian style. 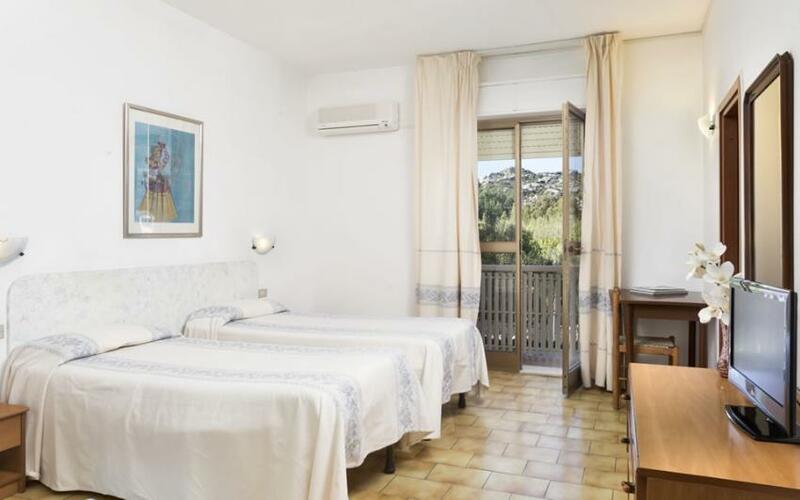 Quadruple Rooms are spacious and feature functional furnishings in a typical Sardinian style. 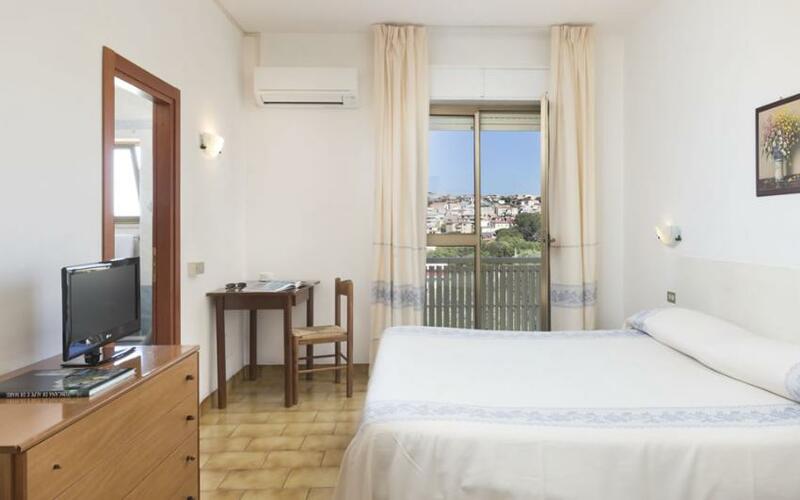 They are equipped with en suite bathrooms, free Wi-Fi, air-conditioning and flat-screen TV. 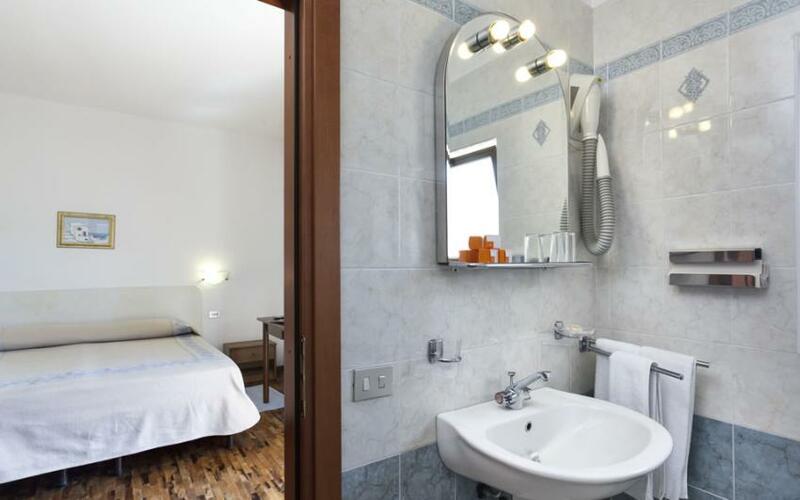 The Suite (only one available) is a small apartment consisting of 2 separate rooms and a bathroom. It is elegantly decorated and inspired by Sardinian craftsmanship. Bed type: 2 double beds or 4 single beds.